Straw bale construction uses bales of straw, such as wheat, rice, rye and oats straw, as structural elements. Research shows that straw-bale construction is a sustainable building method, both in terms of materials and energy needed for heating and cooling. Advantages of straw-bale construction over conventional building methods include the renewable nature of straw, low cost, easy availability, and high insulation value. Disadvantages include susceptibility to rot if built improperly and possible difficulty of obtaining home insurance. 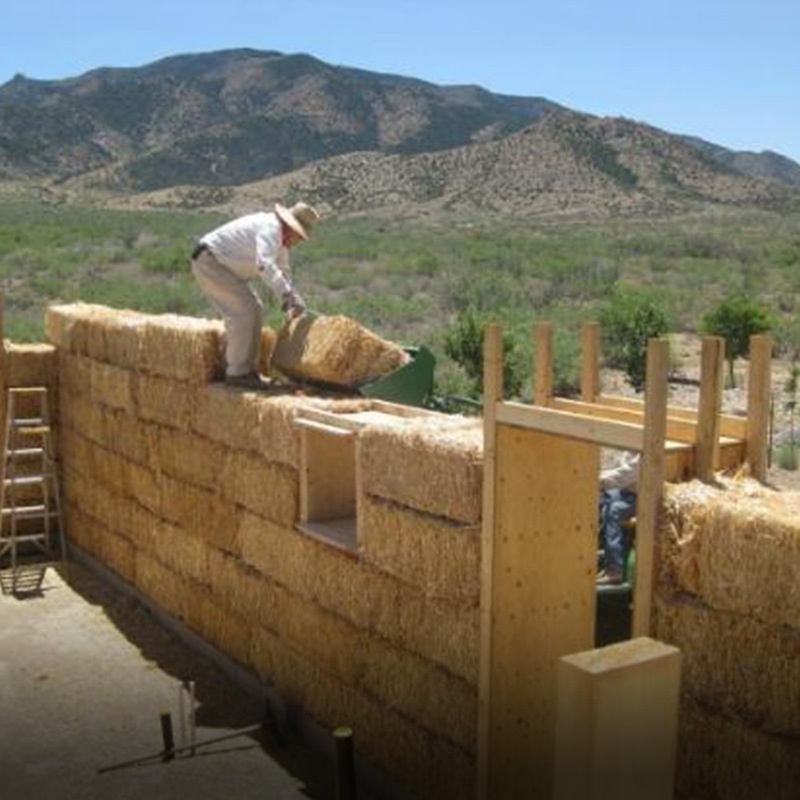 Proper construction of the straw-bale walls is important in keeping down moisture, as it is in construction of any building. Clark Sanders has been building in the Catskills region of New York since 1970’s and shares some insights for straw bale construction in an interview with the New York Times. Another great source of information is www.strawbale.com. “Straw bale building typically consists of stacking rows of bales (often in running-bond) on a raised footing or foundation, with a moisture barrier or capillary break between the bales and their supporting platform. There are two types of straw-bales commonly used, those bound together with two strings and those with three. The three string bale is the larger in all three dimensions. Beautiful straw bale home built by Clark Sanders, and an elaborate interior in a private home shown in pictures below.